I’ve been a Google Inbox user for a few years now. GMail felt absurdly outdated and unpleasant, so I switched. 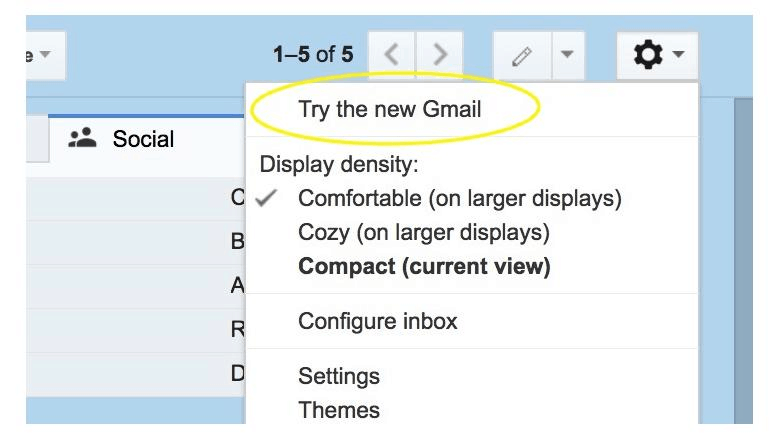 Recently, Google splashed a new can of UX and features onto GMail. I would say without doubt it is an improvement, but there are still some flaws compared to Inbox. I wish they would take the best of both worlds. Here is a breakdown. 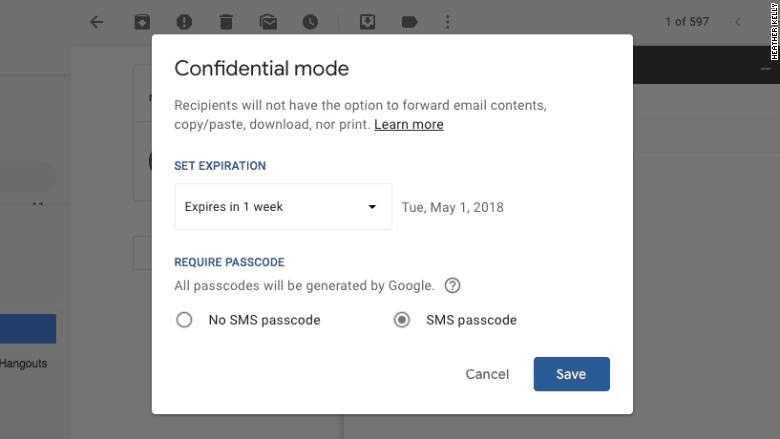 Confidential Mode – This includes passwords as well as expiring email. So one reason to switch from Inbox to GMail is the functionality. One huge missing button is “Mark as Spam”. Plus you can’t even set up filters in Inbox. I don’t need those features truthfully, but having them is better than not. GMail now supports the new Google calendar on the right side as a panel. This is actually very useful, especially when you are trying to schedule an open time slot with a third party. Additionally, GMail has a handy task list there on the right. Also Google Keep is right there on the right as a panel. These integrations will be the main reason I switch. Ok, now it’s time for the bad news. It is a common misconception by designers that “clean” and “modern” and “fresh” equal white and eggshell and off-white. Color is an important element in differentiating sections of the screen. When everything is white then you are blending all of the sections into one giant section. There has never been a study (to my knowledge) that says users prefer all white interfaces. I believe this is purely a function of designers being Apple fans. Apple is big into monochromatic coloring, but it doesn’t make it right or pleasing to the eye. Compare this to the Google Inbox screen. It’s not like its a HUGE change. Inbox is pretty monochromatic as well, but the addition of a colorful header adds life to the design. I wish GMail would add more color and contrast to help see the information architecture more clearly. Not the difference in language, the icon, and the placement. The check indicates completion and success. This made me feel good about marking it. The word done indicates what is really happening. “I am done with this thread.” The placement was on the right and not buried in with too many other options. On the other side, GMail uses the phrase Archive which doesn’t make me feel good. In fact it makes me feel a bit nervous, like I might lose the message. The icon is strange and doesn’t match with my mental model of what I am doing. Lastly, the icon is on the left and mixed in with too many other icons. Bottom line, Google Inbox nailed this feature with subtlety and nuance and GMail is missing the boat. GMail took a nice step forward with this update and I am going to switch to using it as my primary interface. However, Inbox is still nice to look at and certainly nicer to keep clean. 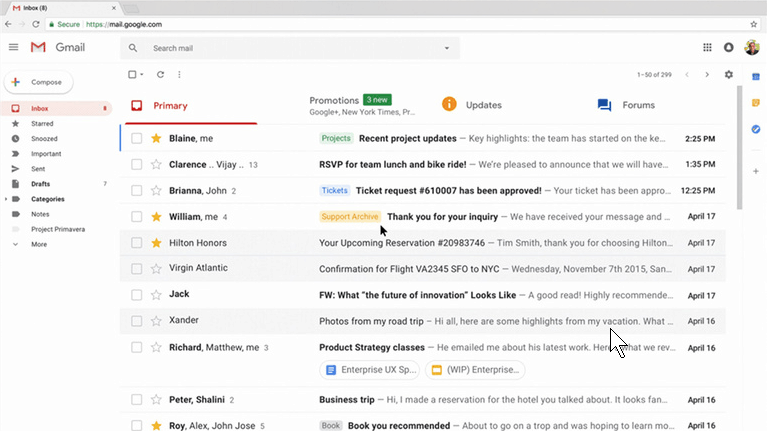 I have a feeling Google is going to kill Inbox, but I salute the designers on it. You improved several things and I hope GMail takes the best of your innovations. I really like what you have to say. I cant choose just one. i enjoy inbox but trust gmailmore. I like how reminders in calendar appear in inbox. wish they did in gmail. as to the all white ugliness of the new gmail, i went to themes and picked a color for the background. I find myself stuck between Inbox and GMail myself. 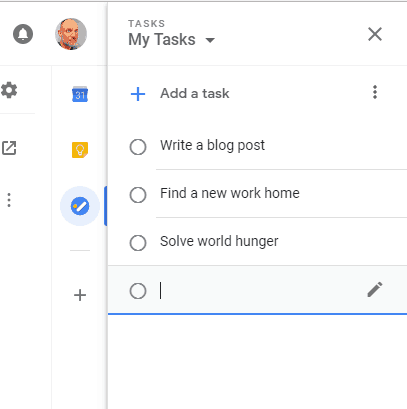 I am very surprised by Google suddenly bringing back Tasks when I thought Reminders would be what we use going forward. Calendar only allows display of Tasks or Reminders, not both. However, adding a reminder to a Keep note only shows if you have Reminders enabled. This is very confusing. I hope Inbox isn’t killed as it’s my interface for mobile, but I won’t be surprised if it goes away.